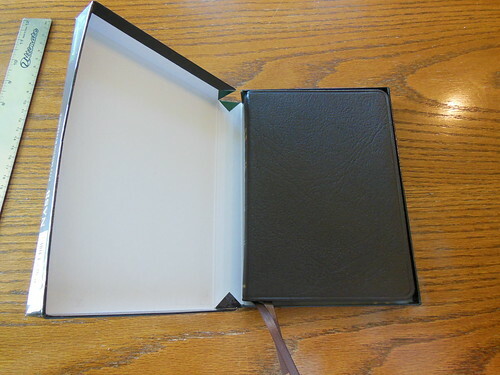 The NASB Pitt Minion Reference Edition NS446XR in Brown Goatskin Leather is the Best Compact NASB You Could Purchase. In my opinion this is the number one, of the top ten compact/ultrathin NASB’s you will find on the market today. The top three are Cambridge Pitt Minions. 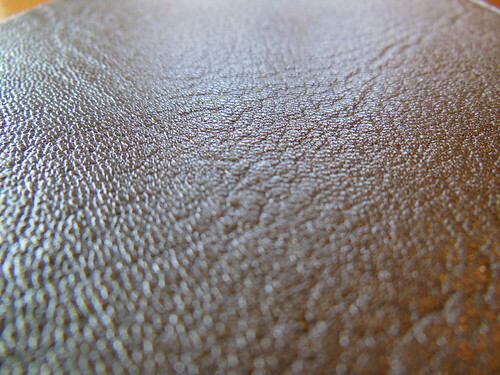 First place, goes to the goatskin leather. Second place, to the calfsplit leather edition. Third place goes to the edition covered in black French Morrocco leather. Here is a picture of the brown goatskin Pitt with the black calfsplit one. They are both gorgeous. 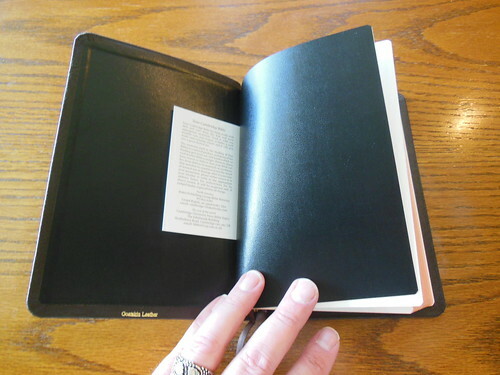 I’ve reviewed Lockman Foundation Bibles. I’ve looked at cheaply constructed Zondervan’s. If R. L. Allan made a compact NASB, they would be the only serious competition on the market. That would only be true because Cambridge and R. L. Allan would be using the same printer and binder, the world famous Jongbloed of the Netherlands. 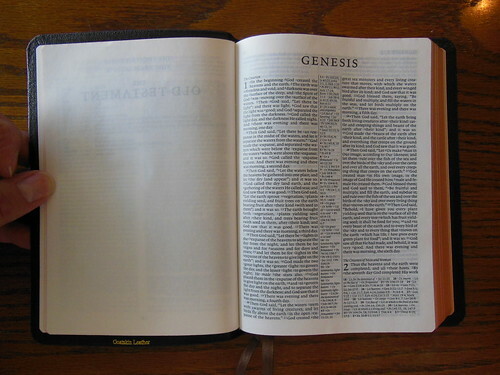 They are the premier printer and binder of almost all the high quality Bibles available today. 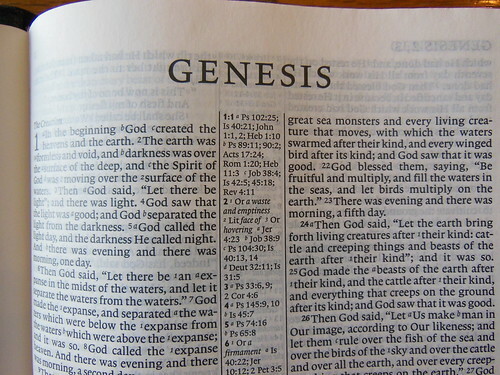 Chances are, if you have a luxury Bible it came from Jongbloed. It makes sense that the Cambridge Pitt Minions are the highest quality Bibles in this market niche. The attention to detail and quality is what sets the Cambridge Pitt Minions apart. When you hear, “You get what you pay for.” Many times you disregard it as a sales pitch, but with Bibles it is usually quite true. I strongly urge you not to balk at the initial price. Consider how many cheaply made Bibles you will buy over the next sixty years of your life. This is assuming, of course, that you are a serious student of God’s word, and read it daily. Now, multiply the twenty to fifty dollars that you would spend on a glued together, poorly covered, mass produced Bible, times the number of replacements you would purchase of that sixty year period. Let’s arbitrarily say you’ll need to replace it 6 times, and that is a conservative estimate on my part. Thirty times six is one hundred and eighty dollars. That is less than the price of the top of the line Pitt Minion. Not to mention the amount of time and energy it will take to transfer your notes/highlights/underlines. The Pitt minion can be handed down to your children and if taken care of I dare say their children. The Cambridge Pitt Minion comes with a lifetime warranty from Cambridge and I fully expect these Pitt Minions to outlast me. How loving would it be for you to hand down one of these to each of your Children with your personal highlights and underlines? They could read from the same Bible that you held lovingly in your hands each morning and remember how faithful you were. Your zeal for God and His word would be an inspiration to them. My Pitt Minion arrived in a cardboard shipping box safe and sound. The retail box is a clamshell design and should be retained for storage. The first thing I noticed about this Pitt Minion when I removed it from the box was the brown goatskin leather cover. It has a simple elegant perimeter line, and a naturally soft and supple feel. 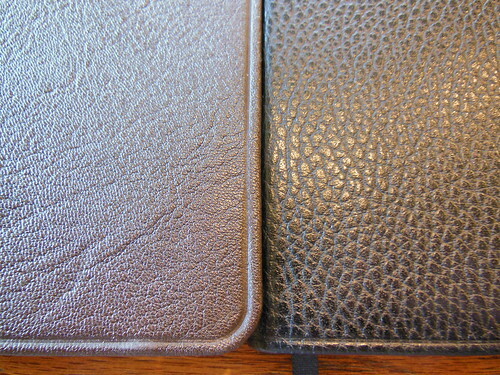 Goatskin leather offers the best of both worlds. It is tough and supple, sacrificing neither quality as you might see with other leathers. 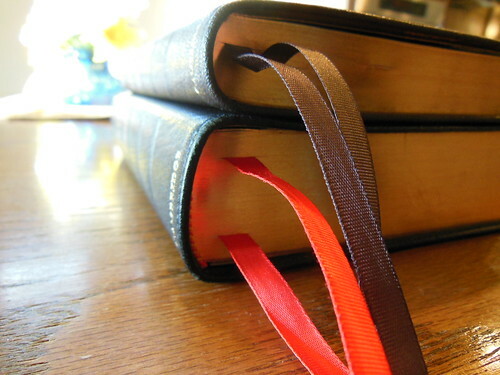 The leather covered Bible smells the way a Bible should. It doesn’t reek of chemicals. The brown reminds me of a milk chocolate color. It might be difficult to see in the pictures. This Bible is a case bound one. 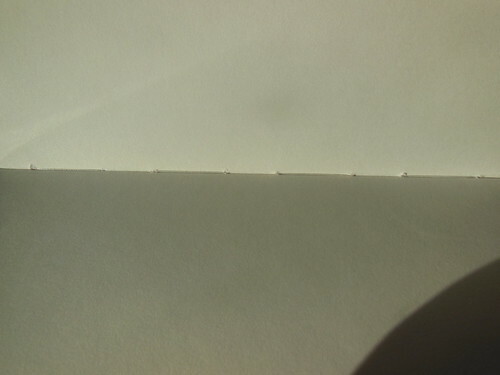 It is not edge lined. The spine is smyth-sewn. 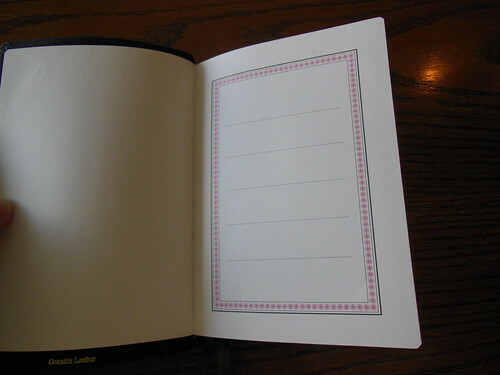 All of the pages are part of a group of pages called a signature. These pamphlets called signatures are stacked up and then sewn together offering a supremely flexible and durable Bible. The corners are and the end pages are well done. There is a simple, yet attractive presentation page in the front. Decorative head and tail bands cap the ends. The spine is stamped with, “Holy Bible” at the top, “New American Standard” under that, “Cambridge” at the bottom in gold. The page edges are art gilt, with red under gold. 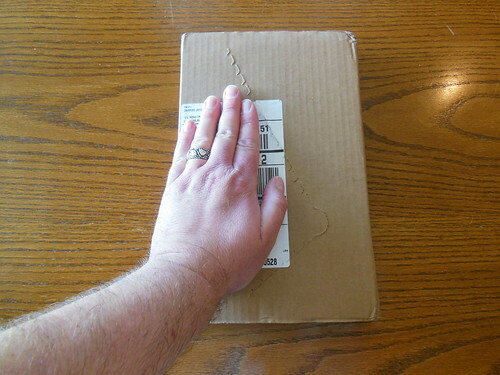 Upon opening the Bible the texture and opacity of the Pitt Minion’s India paper was very impressive for a compact. It is uniform in texture and color. The typeface is 6.75pt on 7pt Lexicon No 1. I agree with them, that it is very legible. It also employs line matching. The text on the other side of the page is printed directly behind the text on the other side. 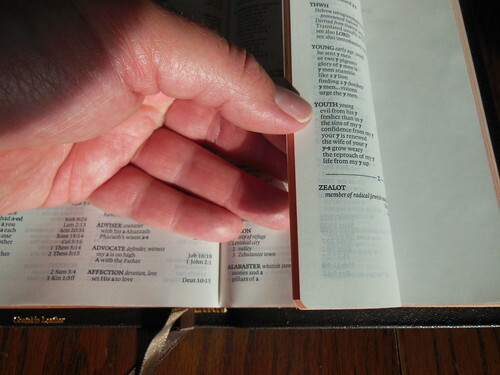 This dramatically reduces distraction while reading, which is especially important in a compact Bible. 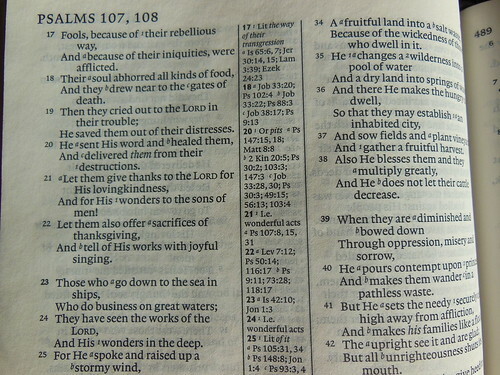 The text is laid out in a double column, center column, paragraph format in this red letter edition. 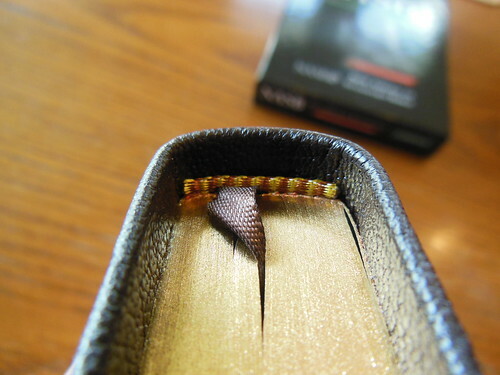 Book and chapter are located on the upper, outer corners of the pages, with the page numbers on the upper inner page corners, making it much easier to look up passages as you flip through the pages. 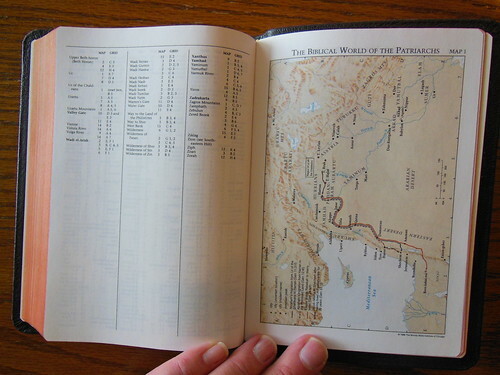 It is remarkable to have a full reference Bible of this size, approximately 7.5″ x 5.25″ x 0.75″ that remains legible. It is a testament to the design work that went into the Pitt Minion. There is even a useful concordance in the back along with a map index and 15 color maps. 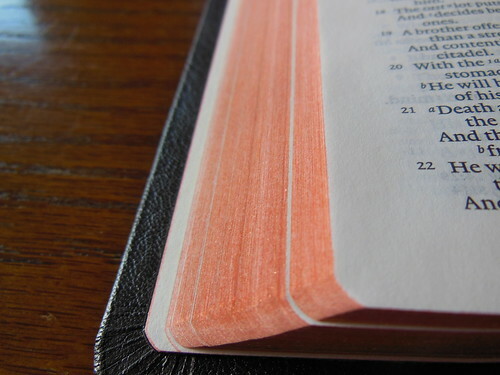 If you are in the market for an ultrathin or compact high quality Bible look no further. The Cambridge Pitt Minion is the only choice. 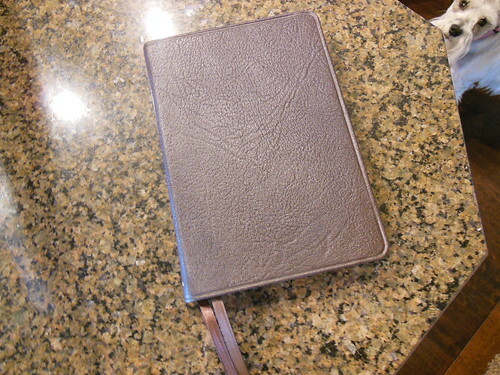 Make sure to check out all of the pictures I took of the Cambridge NASB Pitt Minion in Brown Goatskin Leather NS446:XR-B1168 on my flickr.com page. 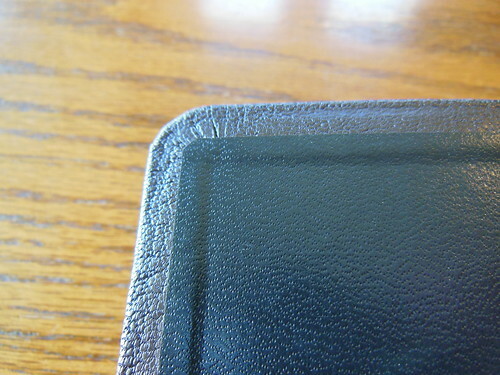 A Review of the Holman KJV Rainbow Study Bible in Mantova Brown LeatherTouch. I have a NASB Pitt Minion too, and I love it. These look very expensive. Do they have any seconds you can buy cheeper? I was told by my contact to have you get in touch with customer service and ask them as they might. Orders@cambridge.org / 1.800.872.7423. I hi-light my Bible with yellow hi-lighters. Will that bleed through to the next page? Yes, if you use wet highlighters. Have you tried the http://www.amazon.com/Sharpie-Highlighters-Colored-Assorted-1780475/dp/B004DNX8O0 they work well and don’t bleed. Thanks for the video and this review. I have been looking for a small portable bible, and had been comparing the Allan Ruby and Clarendon Brevier, but this looks like another alternative, albeit in NASB. Have you experience with either of those other editions? I’d love to hear how they compare in terms of readability and overall size, given that they have similar font sizes. 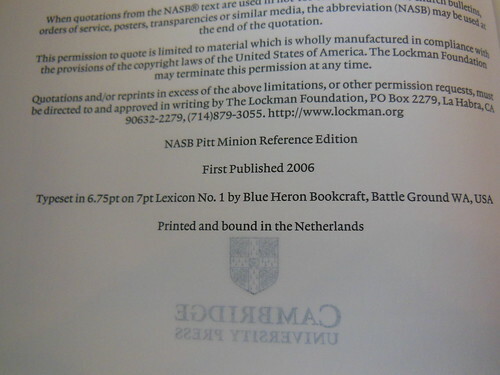 Also the typeset on the Pitt Minion is a modern digital typeset and printing so the text is very legible. 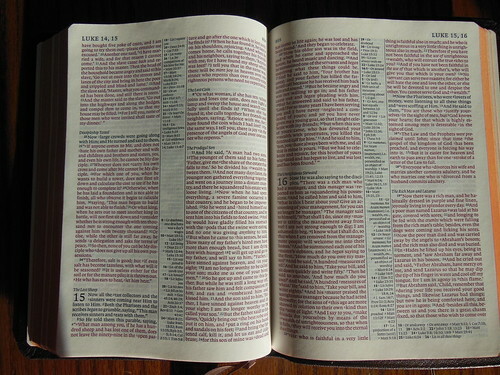 The Allan Bibles use an older typeset that might not be as easy on the eyes. So glad to have found this review. 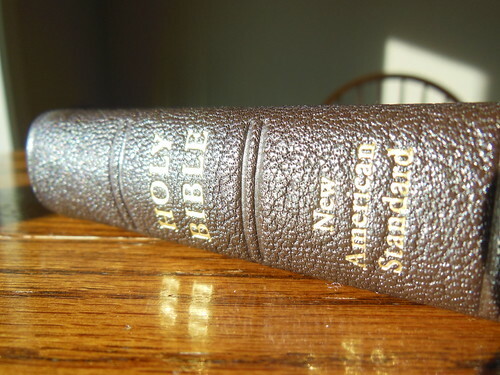 I had spent hours looking for a thin NASB genuine leather Bible. I have another with Pitt Minion typeset, but it is more compact and thicker. I wanted a thinner one that would pack better into a suitcase. I have ordered one from Amazon and cant wait to get my hands on it. If you have good eyesight, they are great traveling companions. Do you use this as a daily reading Bible? 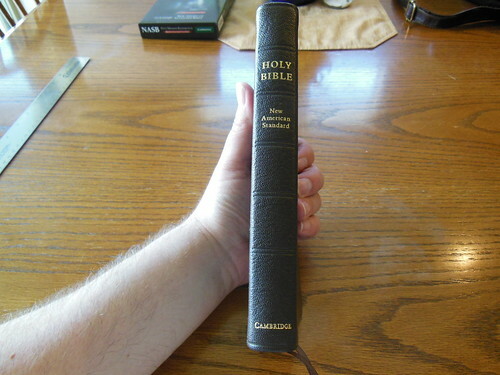 I am looking for an all purpose Bible. No, the font is too small for me to use as a daily reader now. I used to use it as a daily reader for breaks at work. I’m in my late forties now, and my eyes are going.